~Manufacturer’s recommended campaign driveaway price for new MY19 vehicles in white sold and delivered by 30/04/2019. Excludes Government, fleet and rental buyers. Not available in conjunction with any other offers. Options may be available for an additional cost. While stocks last. Volkswagen Group Australia reserves the right to extend, withdraw or change all offers. *5 Year Warranty available at no additional cost on new Model Year 2018 and 2019 stock vehicles sold and delivered by 30/04/2019. Conditions and exclusions apply, click here for full details. Warranty on demonstrator vehicles only applies for the balance of the 5 year term. Your rights under this warranty are provided in addition to, and in some cases overlap with, consumer guarantees under Australian Consumer Law and do not limit or replace them. †Payload is defined as the Gross Vehicle Mass (GVM) minus the Kerb Mass. Payload is the maximum combined weight of occupants, cargo, added structures and tow ball down weight (when towing). GVM must not be exceeded. ¥Safety technologies are designed to assist the driver, but should not be used as a substitute for safe driving practices. *5 Year Warranty available at no additional cost on new Model Year 2018 and 2019 stock vehicles sold and delivered by 30/04/2019. Conditions and exclusions apply, click here for full details. Warranty on demonstrator vehicles only applies for the balance of the 5 year term. Your rights under this warranty are provided in addition to, and in some cases overlap with, consumer guarantees under Australian Consumer Law and do not limit or replace them. ¥Safety technologies are designed to assist the driver, but should not be used as a substitute for safe driving practices. The Caddy boasts load of different configurations, so you can match it closely to your needs. 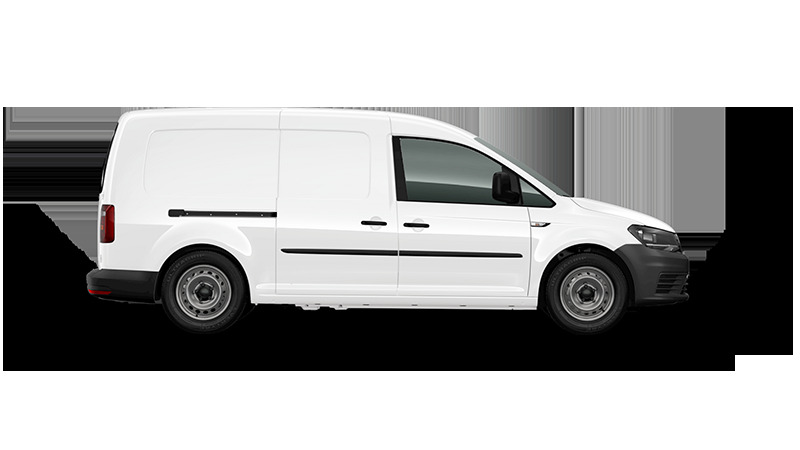 From wheelbase to load size to storage compartments the Caddy Van has you covered. The load compartment can carry just about anything you need it to. Even the short wheelbase offers a capacity of 3.2m³, which expands to 4.2m³ for the Caddy Maxi Van. 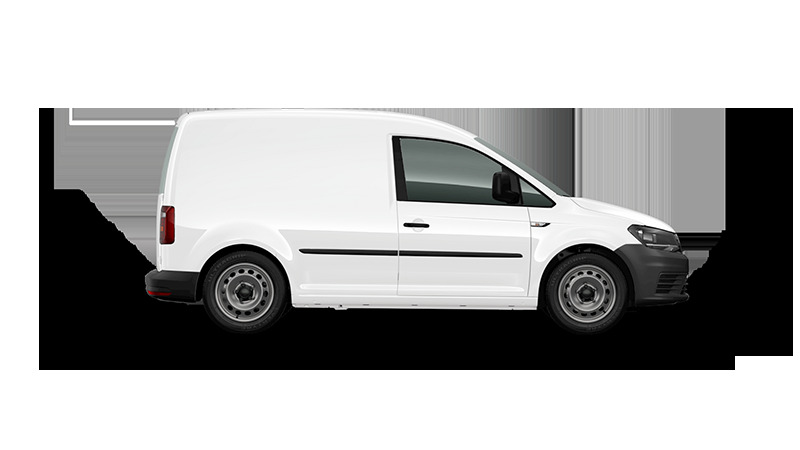 Caddy Maxi Crewvan offers over 1.6m³ behind the second row of seats, or 4.1m³ with the rear seats removed. 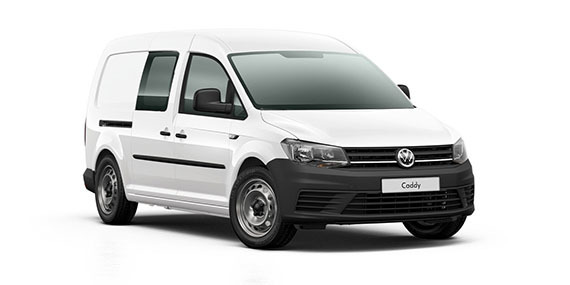 The Caddy boasts a 12.7 cm TFT colour touchscreen display, Bluetooth connectivity, an MP3­ and WMA CD drive, a 4 x 20 watt output with two loudspeakers, an SD-card slot, an AUX-IN interface, USB input, and a dual tuner with Phase Diversity for optimal radio reception. Control your smartphone's screen, selected apps, maps, and music through App-Connect on your console's touchscreen by using Apple CarPlay® and Android Auto™ interfaces. And the Rear View Camera, installed at the back of the car, displays a live picture on your console screen that shows what's behind you, making reversing safer and easier. No matter how many hours you spend on the road for work, it can be an unpredictable place. 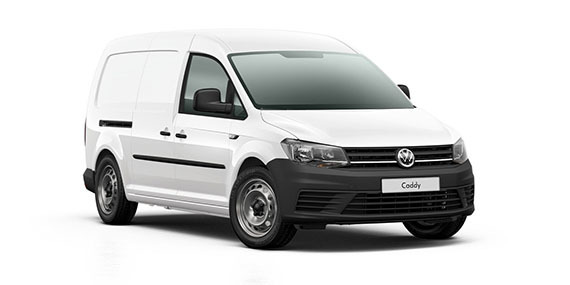 To ensure that every work day ends as stress-free as it starts, the Caddy Van is equipped with a score of intuitive safety systems. When the airbag sensors detect a collision, this state-of-the-art system applies the brakes to slow the vehicle, so that a secondary impact will be lessened or avoided. During braking, the hazard and brake lights are illuminated and remain activated even after braking has ceased. Volkswagen's leading TSI technology includes a turbocharged engine with direct injection. Boasting excellent torque and power at low revolutions, this translates to lower fuel consumption and superior performance. Our turbo-injected TDI engine with diesel particulate filter features common rail technology that injects precise amounts of fuel at extremely high pressure, resulting in impressive torque and performance.